Photo taken in the prayer garden at First Baptist Church, Richmond, Texas. Our early morning Easter services are held under this oak tree, among the oldest and largest in South Texas. to live in harmony with you. Too soon we strayed away. I am your child,’fashioned in your image. Anyone who has been around small children knows how often we hear the question “Why?” I have been asking that question about my fig harvest this year. 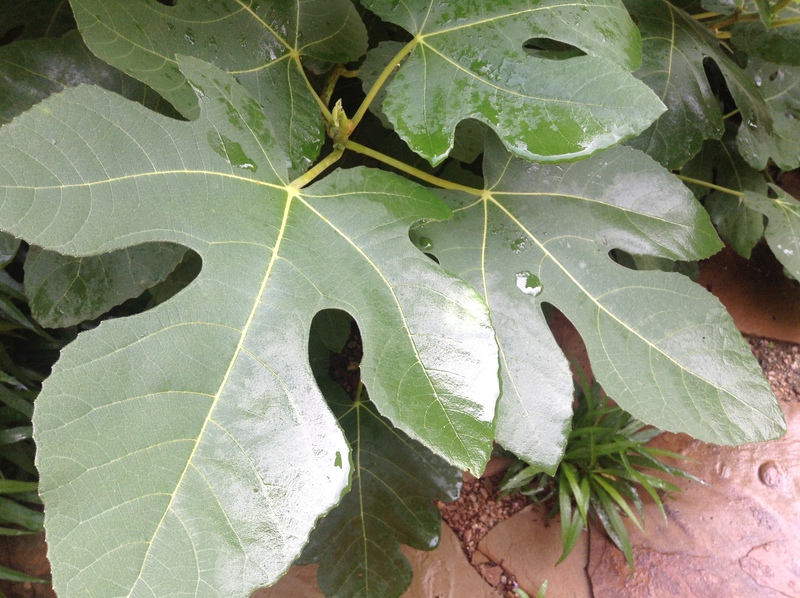 We have a fine fig tree in the garden that typically has so many green figs it is hard to keep up with the harvest as they ripen. This year we had an unusually wet June and although there were hundreds of green figs and they began to ripen early, harvest slowed and stopped completely in the second week. Our brutal Texas heat came on suddenly. My research tells me the tree went into conservation mode and began aborting its fruit. Even though we watered heavily, nothing brought back the production so the hard little green figs began to drop to the ground, wasted and of no use to anyone. Not even the birds would eat them. The problem is that figs are shallow rooted and easily stressed. That reminded me of my own need for being rooted deeply to be able to take the heat and avoid reacting in damaging ways to the stress of our uncertain times!